Penny is a soft furred girl with the most magnificent tail. Her beautiful brown eyes are captivating and will share the secrets of her life if you look close enough. Penny has come to Carter’s from China, another survivor of the meat trade, to find a furever home where she can know love and kind hands. 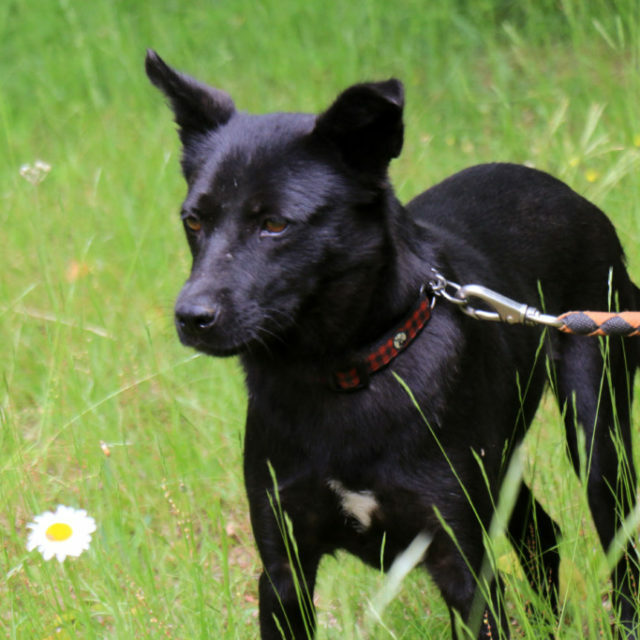 She enjoys the company of other dogs and despite her early beginnings, loves humans. She warms up quickly and will become your shadow. She is house trained and good on her leash. Penny’s adoption fee is $500. and includes her spay, up to date vaccinations and micro chip. If you think Penny is the girl for you, please complete the adoption application. Once received and reviewed a member of the team will be in touch to set up a meet and greet. Penny looks forward to meeting you soon!